Aluminium windows are one of the most desirable home improvement products. Now benefitting from excellent engineering, design and performance, there are many reasons to consider aluminium windows for your home. SGK Home Improvements are you local aluminium window specialists. Where many other window companies only offer aluminium as a premium product with a price to match, SGK have many years experience in aluminium windows. We offer the latest generation in energy efficient, contemporary or traditional aluminium windows as part of or standard product range not at a premium. 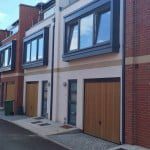 We are expertly placed to advise you on the benefits of aluminium windows today and why they are so popular with homeowners. A choice of only the very best in aluminium windows. You can benefit from the very latest in aluminium windows from some of the most trusted and best-known systems. Schuco is one of the best known names in the world for quality aluminium windows. Schuco is the preferred choice of architects, designers and homeowners that are seeking the very best aluminium window. 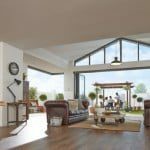 Schuco windows combine the ultimate in engineering and design which is why you will often see Schuco in the finest extensions, architecturally designed homes and the finest houses flats and apartment. Yet despite their quality and reputation, they are affordable. 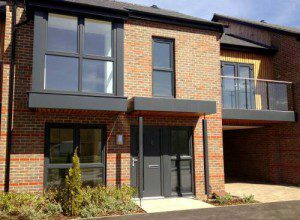 For certain homes and projects only specialist aluminium windows will be suitable. Here we can provide exactly the right product for you. 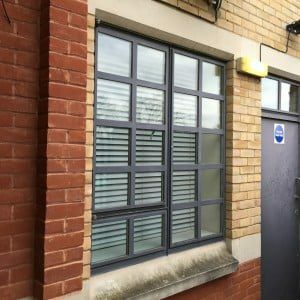 Whether you are looking for the above specialist windows or are seeking to create a dramatic entrance screen, panoramic glass wall or other design we can help. A choice of over 200 colours. SGK Helping you Save Money with energy efficient aluminium windows. All our windows meet or exceed current Building Regulations for energy efficiency. All our quality aluminium window solutions come with the latest specification double glazed units as standard. We source only the very best glass units comprising warm edge spacer bars, argon gas fill and the latest coatings to keep the cold out. All are also available in a choice of patterns for bathrooms or where privacy is required. Toughened or laminated glass is provided where building regulations require it or to provide added security and peace of mind. We also offer the latest in triple glazed windows for those seeking the very best in energy efficiency and state of the art windows. Peace of Mind with SGK Home Improvements. Long and comprehensive guarantees of up to 20 years for peace of mind. Installed with care and attention to detail. Our reputation of the quality of our aluminium window installations is second to none, with many local homes and customers benefitting from our exceptional range of products. We guarantee top class installations, with care for your home and your belongings all installed by experienced and trained installers. Contact us for a free no obligation consultation and quotation and discover the SGK difference.